This was a blogathon I could hardly resist taking part in. Movies Silently, Silver Screenings, and Once Upon a Screen are hosting, and Flicker Alley is sponsoring, an examination of film history, the reason this blog exists! Flicker Alley, a distributor of high-quality home releases of classic movies, is offering a giveaway of their new 3D Rarities Blu Ray collection. If you’re interested in that: follow this link and subscribe to their newsletter. 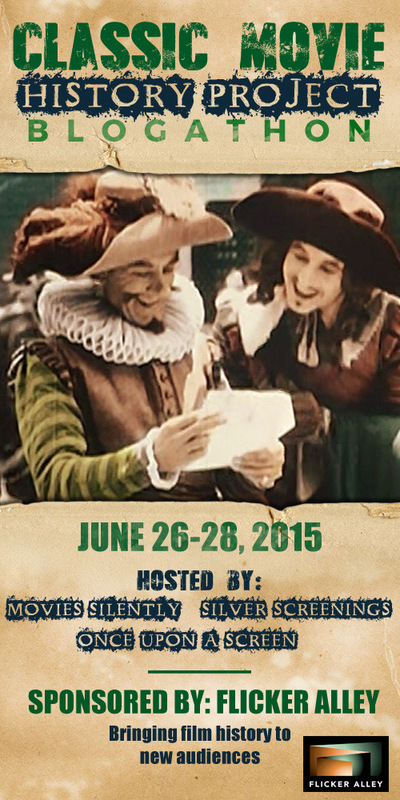 Otherwise, the fun part for me and you will be reading all the movie history posts, come June 26-28! The tough part was deciding what topic to write about, since almost everything I do here is about “Classic Movie History.” I finally settled on director Raoul Walsh‘s 1915 release “Regeneration.” Walsh is a director I haven’t gotten around to discussing yet, and “Regeneration” is significant both as an early feature-length gangster movie, and because it was lost for many decades before being rediscovered in the 1970s. I plan to post on Friday, June 26, as part of the first day’s examination of early film history. I hope you’ll join me and also check out the other historical posts in this event!